> Laura Ashley is 65! 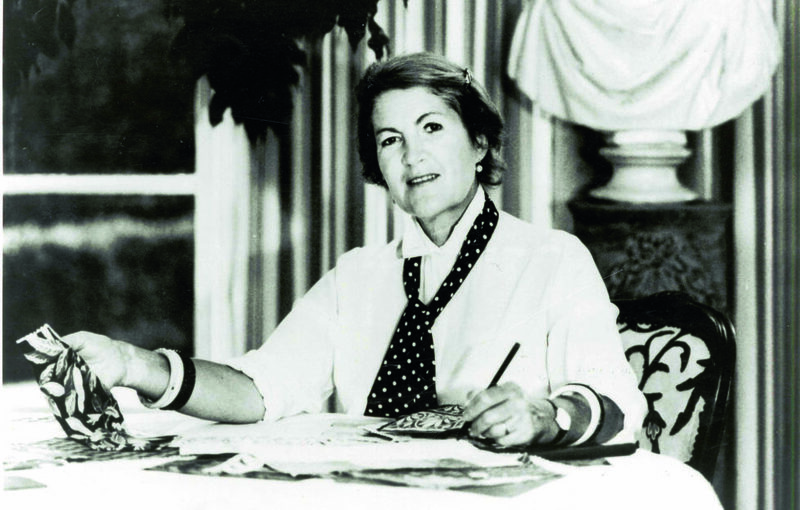 Laura Ashley has long been loved for its signature prints, fashion and home furnishings and this autumn celebrates its 65th anniversary. The brand grew from humble beginnings with Laura and Bernard printing small runs of headscarves, napkins, table mats and tea towels in their kitchen in 1953. 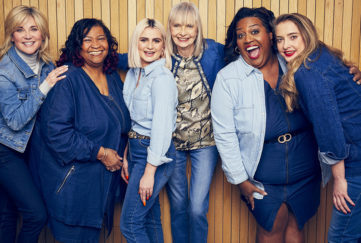 Expanding the business into clothing and accessories in the 1960s, the retailer has grown to become an international household name, with stores all over the world, as well as Laura Ashley hotels and a tea room. To celebrate, the brand is releasing a limited-edition home and fashion collection inspired by the Victorian period – with millennial pink as modern addition to complement traditional pastel shades. Inspired by the Laura Ashley archive, the range includes a set of tea towels featuring original prints from the 1960s – some of the earliest prints available in the archive collection. ‘Cricket’ is a design adapted from a character in The Boys Own Book, first published in 1828, which covered popular sports and pastimes. 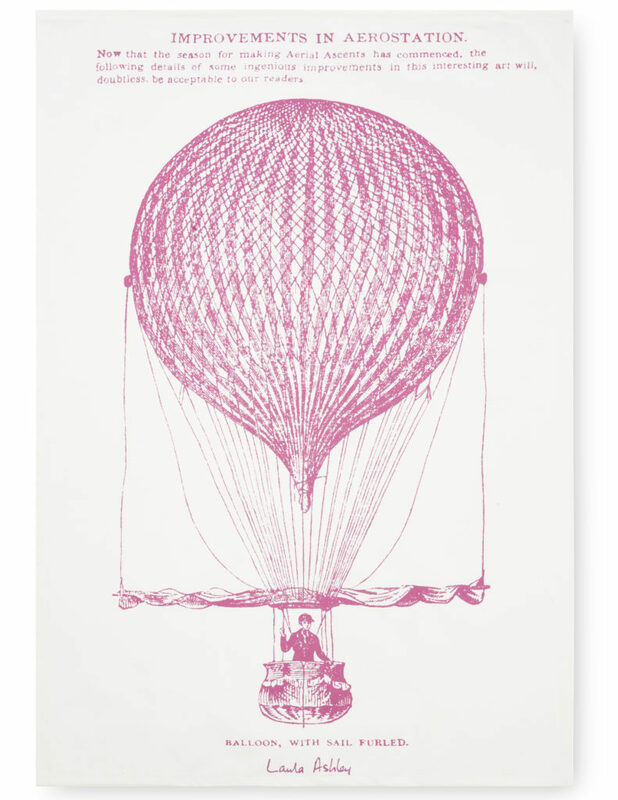 The hot air balloon print (below) is inspired by an issue of The Illustrated London News from 1846, a popular Victorian periodical.